When your child is ready for their first kid’s bedroom set, or have outgrown their old one, trust Mattress Express in Meridian and Hattiesburg and our extensive kid’s beds and kid’s bedroom sets for your home. We offer an extensive catalog of styles ranging from bunk beds, twin, and full mattress bedroom sets for kid’s beds, and kid’s bedroom sets including all types of bedroom furniture for your child. With so many different styles, colors and functions for the children in your life you are bound to find something you and your child can agree upon. Everyone should have a bedroom that feels like their own, and Mattress Express wants the same for your kid’s bedroom sets. 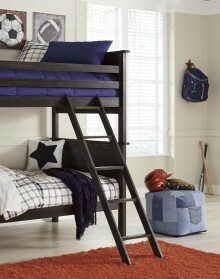 We have so many options for your kid’s beds in Meridian and Hattiesburg that the possibilities are truly endless. Our kid’s bedroom sets include all of the things you’d expect like nightstands, chest of drawers, dressers, mirrors, kid’s bedroom sets, and headboards. We try to curate for every kid’s tastes, and we’re sure that you and your child will find something you both will love, and they’ll be excited to call their own. We carry everything from rustic bunk beds to French style mirror adorned white dressers so your sons and daughters can have the kind of bedroom furniture sets in Meridian and Hattiesburg that they’ll remember for years to come. Bunk beds, twin-sized mattresses and full-sized mattresses for your kid’s bed can be found with all types of style and function options. We have beds with storage built right in, sleigh style bedroom furniture, beds with bookcases, and kid’s beds pulled right out of a princess storybook. 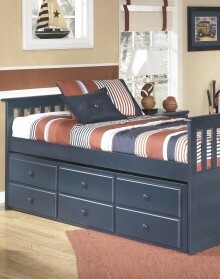 Our selection of kid’s bedroom sets is vast because children’s imaginations are limitless. It’s our job at Mattress Express to make sure we have just the right thing for your son or daughter’s bedroom in Meridian and Hattiesburg. They’ll remember their bedroom for the rest of their life, and we want them to remember them fondly. Mattress Express by Woodstock Furniture was founded in 1978 and has been providing customers with quality kid’s bedroom sets for over forty years. Our customers expect professional service and passion that we bring to our locations in Meridian and Hattiesburg. Our kid’s beds represent our vision of bringing your children comfort and fond memories of their Meridian and Hattiesburg homes that will last for years to come. Our knowledgeable staff will work with you and your child to find a kid’s bedroom set that fulfills all their needs for a restful night’s sleep. We know that we are the type of mattress store that you’ll want to keep in your family for years to come. Visit one of our locations in Hattiesburg or Meridian today!